An exception to the rule. 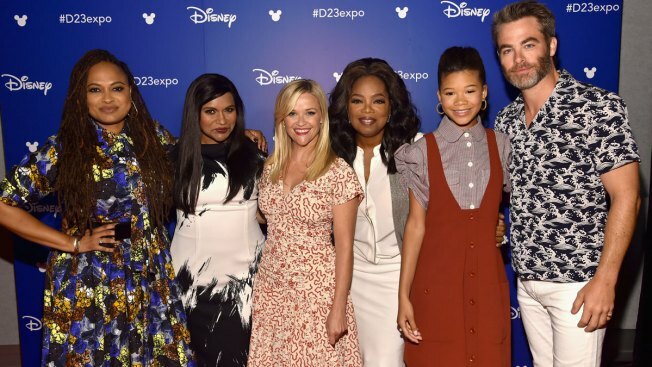 Director Ava DuVernay, actors Mindy Kaling, Reese Witherspoon, Oprah Winfrey, Storm Reid, and Chris Pine of A WRINKLE IN TIME took part today in the Walt Disney Studios live action presentation at Disney's D23 EXPO 2017 in Anaheim, Calif. Despite enthusiastic discourse around diversity in film, a report from the University of Southern California's Annenberg Inclusion Initiative released Tuesday says when it comes to the numbers, little has changed. The most popular movies are still largely the domain of white, straight, able-bodied men, both in front of the camera and behind.